Grate the apple and mix all the ingredienses in a pan cook for a few minutes. 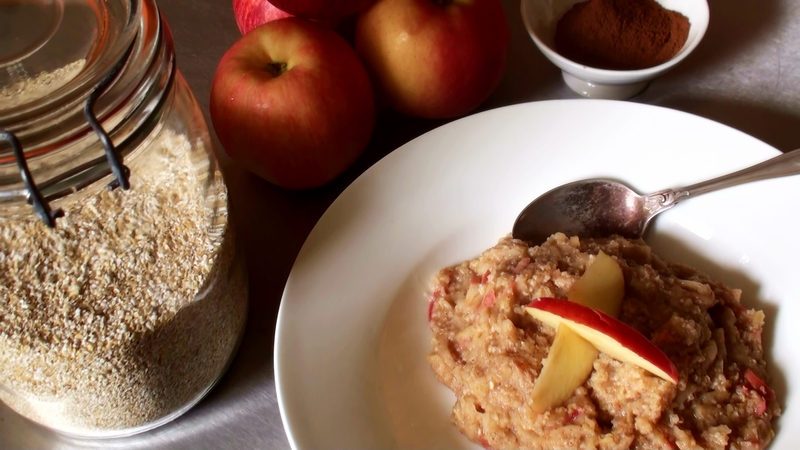 I often add cinnamon to my porridge (I’m a cinnamon lover) but adding apple as well sounds fantastic! Really good to meet you Saturday Lisa, wish I had a chance to talk with you more–perhaps there will be another blogger meetup before the next Cybermummy? Fantastic evening, thank you so much for arranging!